Get the best professional detailing value in the Alameda area. 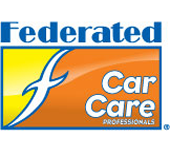 We offer the finest quality products, state-of-the-art tools, and expertly trained automotive detailers. Call us at 510-865-7872 for details. At Alameda Auto Care Center, we help our Alameda customers' cars to look their absolute best. From a basic car wash to bumper to bumper, show quality detailing, Alameda Auto Care Center does it all for you. It's our goal to provide you with any detailing service that you may need and to provide you with a ride that you can truly be proud of. Of course, the core of our operation is putting the shine back into customer vehicles through washing, polishing, and interior detailing. We offer a number of packages for both the interior and exterior of your car that will have it turning heads like brand new. Washed, waxed, and polished, your car will shine like a diamond. Cloudy headlights? Not for long with our headlight restoration service. Taking care of the exterior of your car is only part of what we do. It's great to look good on the outside, but what about the place where you spend your time? Going for a drive isn't nearly as much fun if you can't see out of your windshield and your seats smell bad. At Alameda Auto Care Center we offer complete interior restoration and detailing, as well as individual services. We breathe new life into old, sun-baked leather seats, as well as shampooing cloth interiors and cleaning plastics to make sure the interior of your car is a place you'll love to be. Whether your car is new, or fifteen years old, if you want to restore it to its former glory, give us a call at 510-865-7872 and we'll have you back in the driver's seat in no time!